KEM PROBIOTICS is a dietary complement based from fermented juice of Morinda citrifolia. Its natural fermentation in the seaside area of KAMPOT in Cambodia gives it a strong concentration of probiotics. It is then your best partner for a healthy lifestyle. The Morinda citrifolia has been used for centuries, all over the world, as a natural medicine to boost the health. Those effects are especially due to the rich content of probiotics in KEM PROBIOTICS. Probiotics, promoting the stability of the intestinal flora, are of benefit to their consumers. 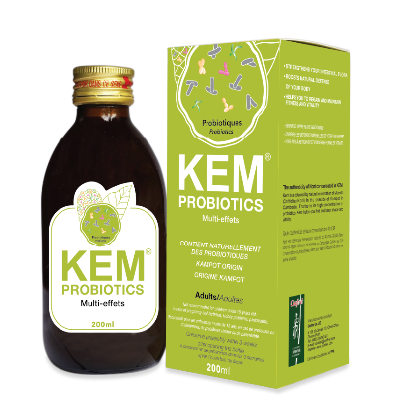 KEM PROBIOTICS is then the perfect companion for a healthy and active life and is taking a great part within a natural diet.